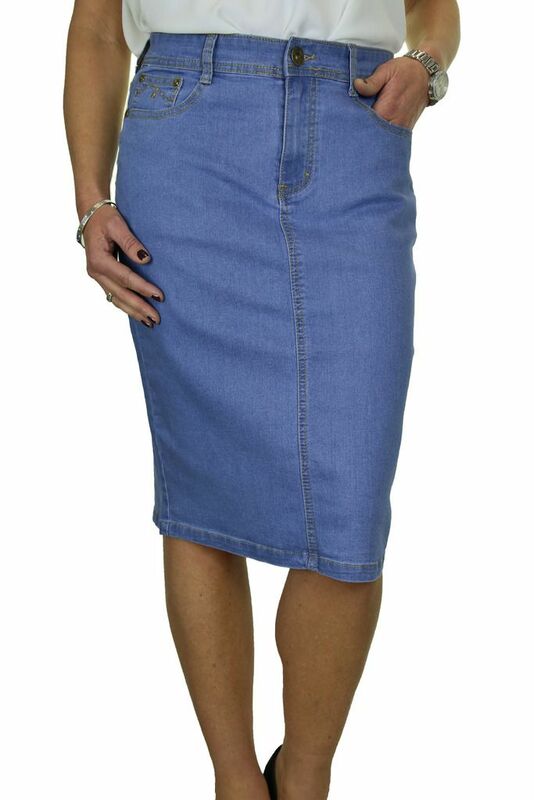 This is a stretch denim pencil skirt. 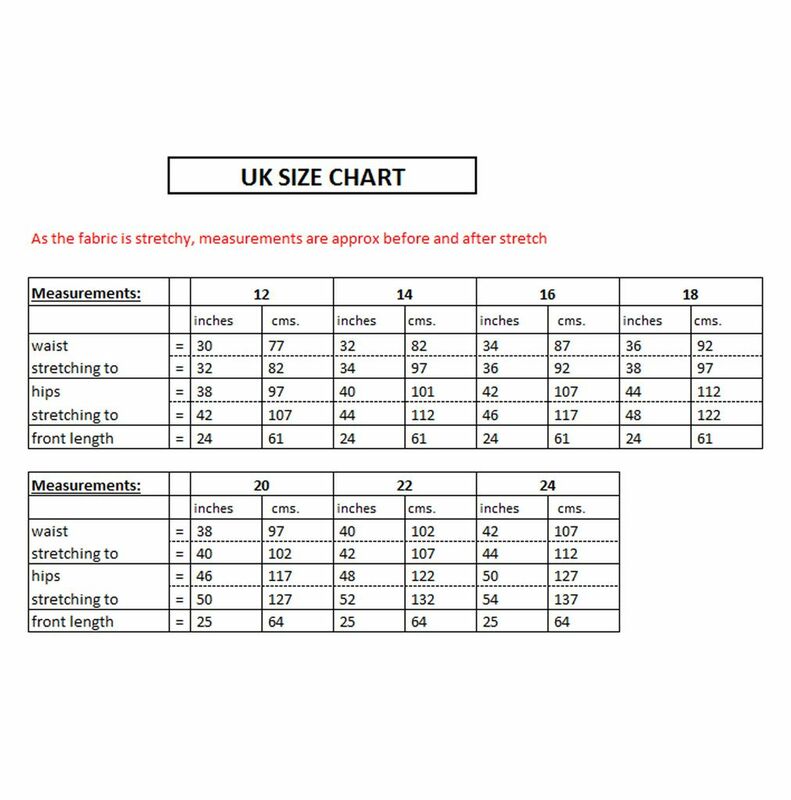 The fabric is stretchy and has been faded to a pale colour. 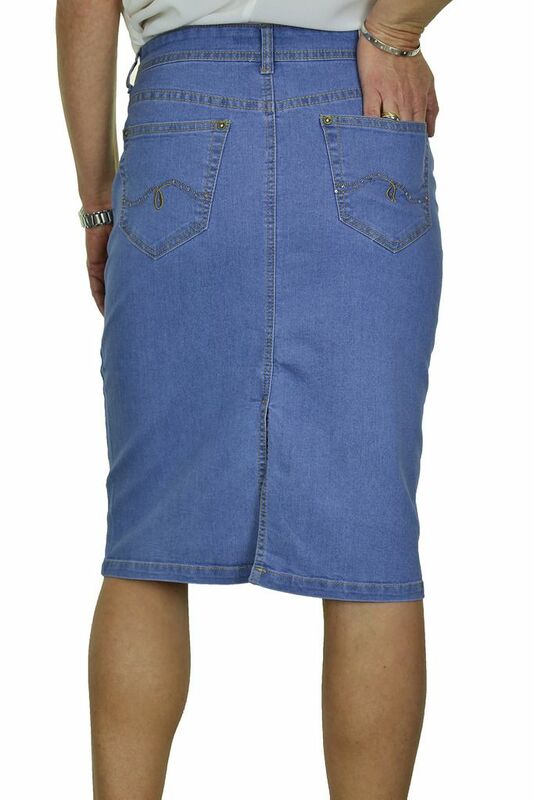 Front has 3 pockets with bronze colour rivets, and sequin detail. 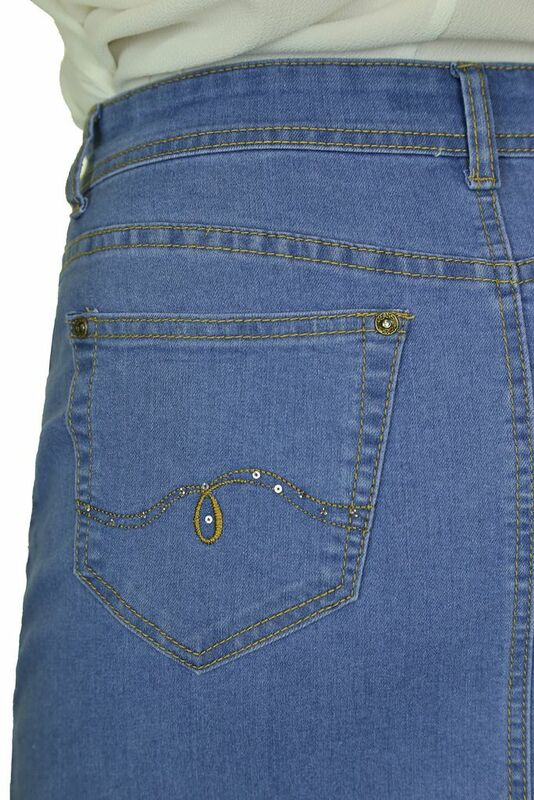 Back pockets have sequin detail, and matching rivets. 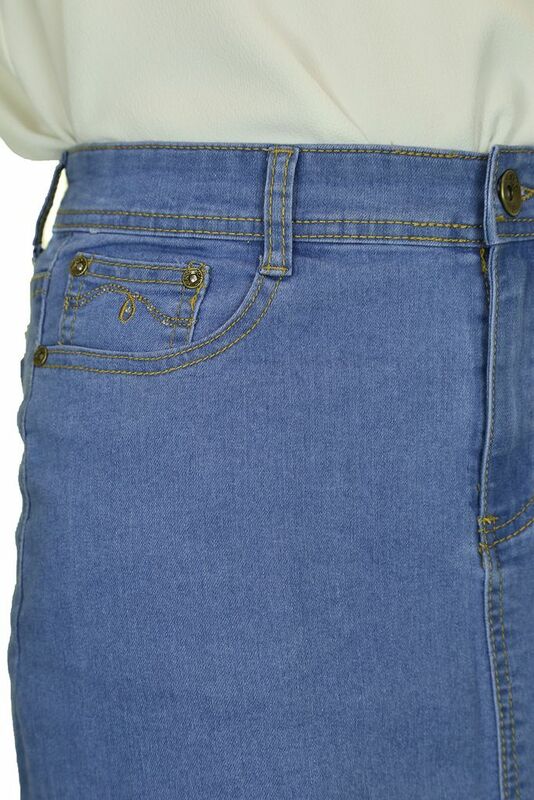 The waist has loops, and a bronze colour stud button.